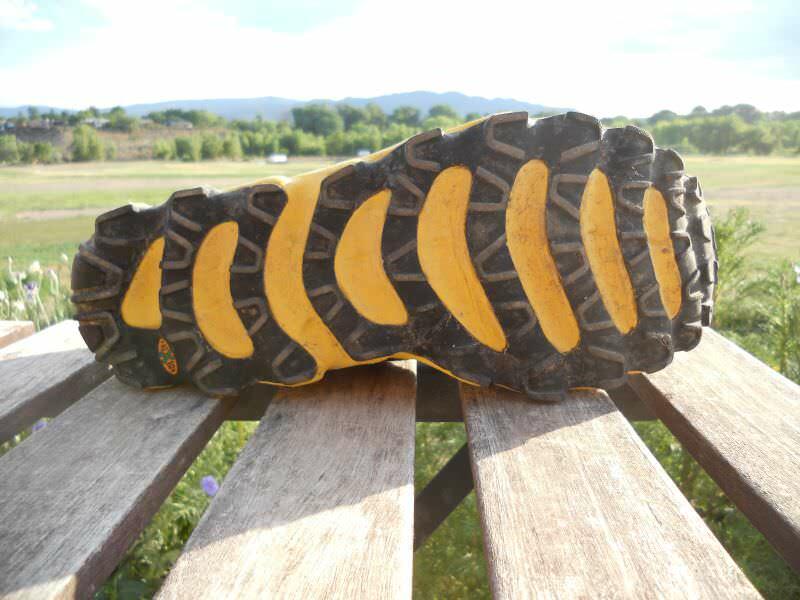 -Great cushioning for a minimal trail runner. -Poor outsole protection due to cutouts. 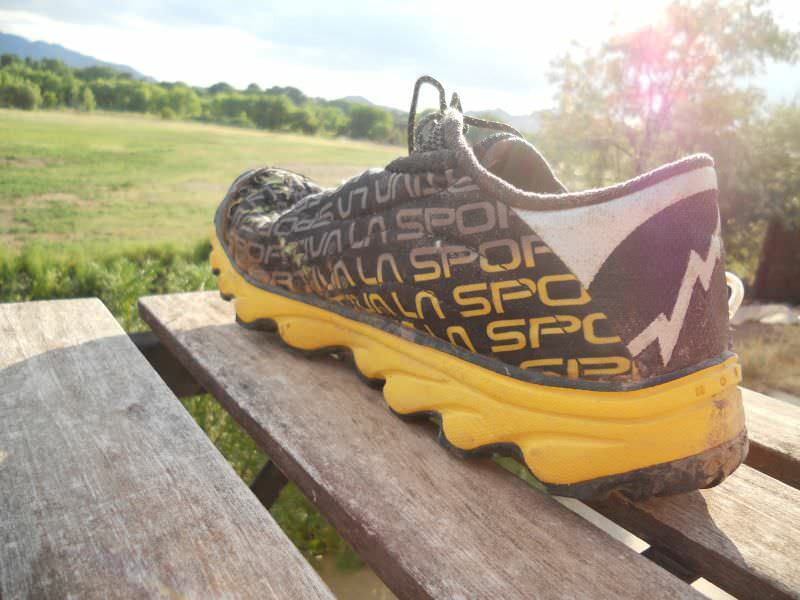 The La Sportiva Vertical K is a very well cushioned minimalist trail racing shoe with little protection for technical trails. 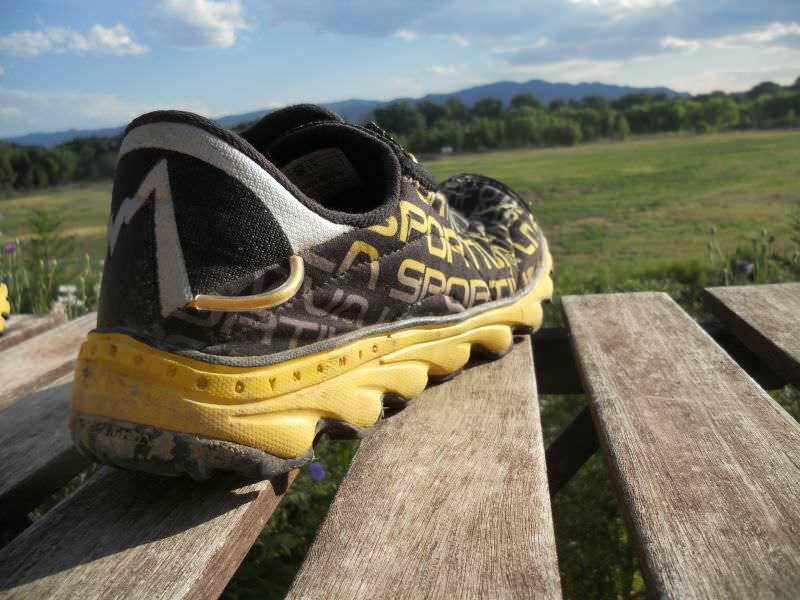 - Efficient and minimalist trail runners training or racing on non-technical trails where traction is imperative. - Uphill racers who are looking for the lightest package to get them up the mountain. The La Sportiva Vertical K is a shoe with features that could hold up to the demands of vertical kilometer races held around Europe. 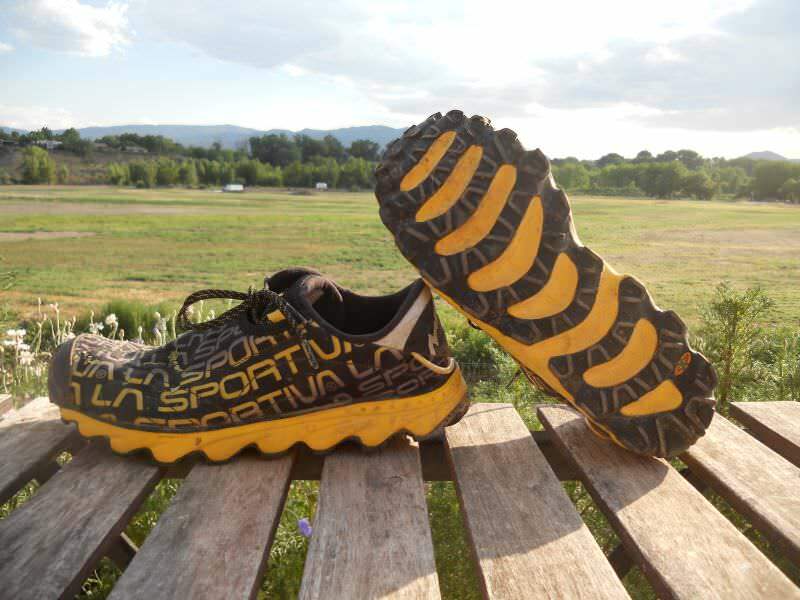 La Sportiva, an Italian outdoor footwear company, is known for making trail shoes rugged and ready for just about anything the trail has to offer. So, with the introduction of their first ultra-light minimal trail shoe, the Vertical K, La Sportiva aims at cramming as much cushioning and protection into as lightweight of a package as they can. 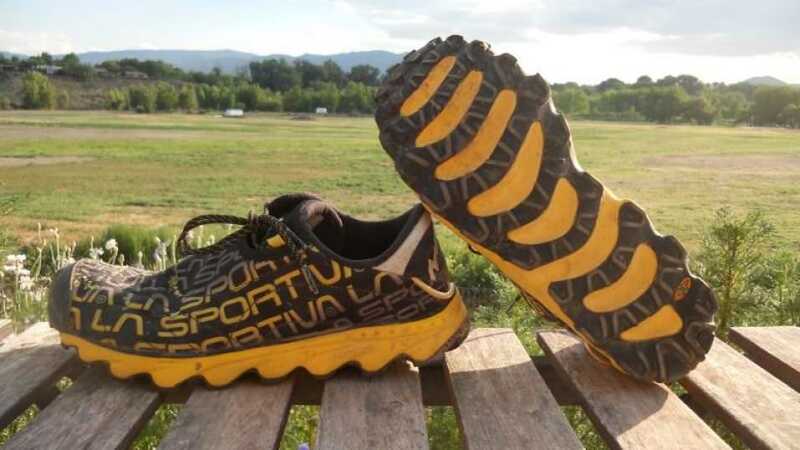 La Sportiva is known for using overlapping fabrics over the laces of the shoe to create a sort of gaiter over the shoe, keeping dirt and debris out. With the Vertical K they took this technology one step further using a basically seamless one piece upper, called Airmesh, which is very breathable and protective and effectively eliminates the need for a traditional tongue. 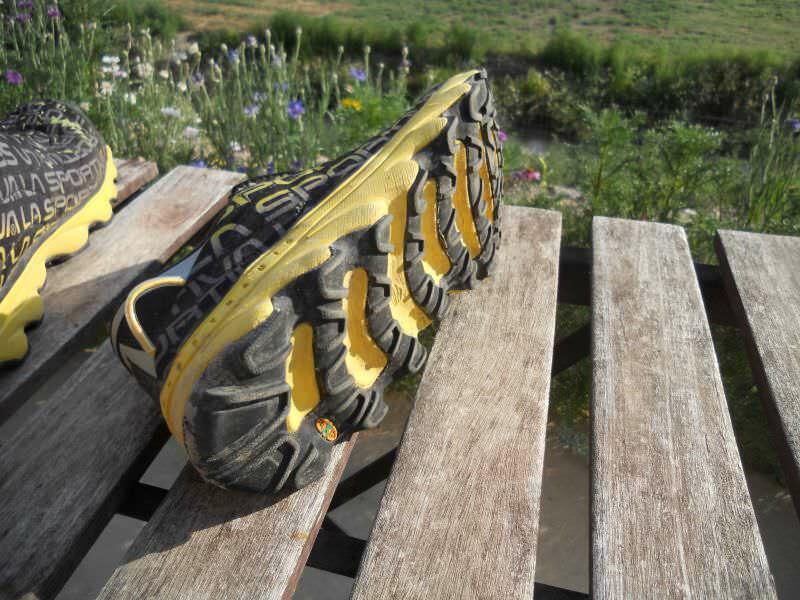 This feature, while very effective once out running the trails, can prove a bit challenging at first while putting the shoe on and initially walking around. I found the fit to be ambiguous at first, and the spaghetti thin laces underneath the Airmesh seemed to do little to secure the fit of the upper. However, once I was running in the Vertical K the upper seemed to be just supportive enough that it was almost unnoticed, and the Airmesh worked like an effective shoe gaiter. Heel height on the upper seems low at first, but I didn’t experience any problems with slipping. The heel collar itself is made of breathable mesh which decreases some of the foreign sensation of the Airmesh upper, and I didn’t experience any rubbing at any point from the upper. 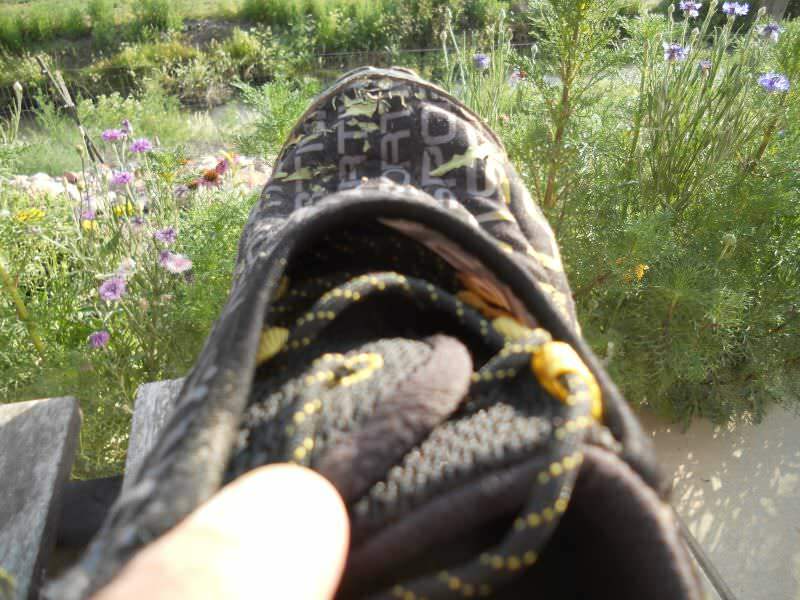 A small heavy duty rubber loop comes off the back of the heel of the shoe, ideally for clipping the shoes to a pack, and seemed largely unnecessary but didn’t adversely effect performance. 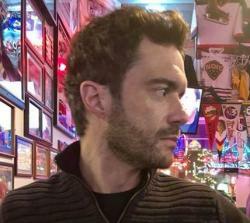 The fit of the Vertical K runs a half size small, so it is recommended to size up. The upper is medium width throughout the shoe and the toe box seemed a tad bit short at times even after sizing up from a 9.5 to a 10. I attribute this to the reinforced toe bumper on the front of the shoe which at first makes the Vertical K toe box seem rigid. Once I got running I found it to be plenty flexible, which is particularly helpful on climbs where the Vertical K excels. The Vertical K uses La Sportiva’s Morphodynamic midsole which, in cahoots with the outsole, aims at increasing surface area over technical terrain thereby increasing traction. One thing is for sure; the EVA midsole packs a great deal of cushioning into a very lightweight package. Weight is saved by cutting out sections of midsole on the bottom of the shoe which also increases flexibility. The Vertical K has a 4mm heel drop making it incredibly agile on technical terrain and definitely a bonafide racing shoe. 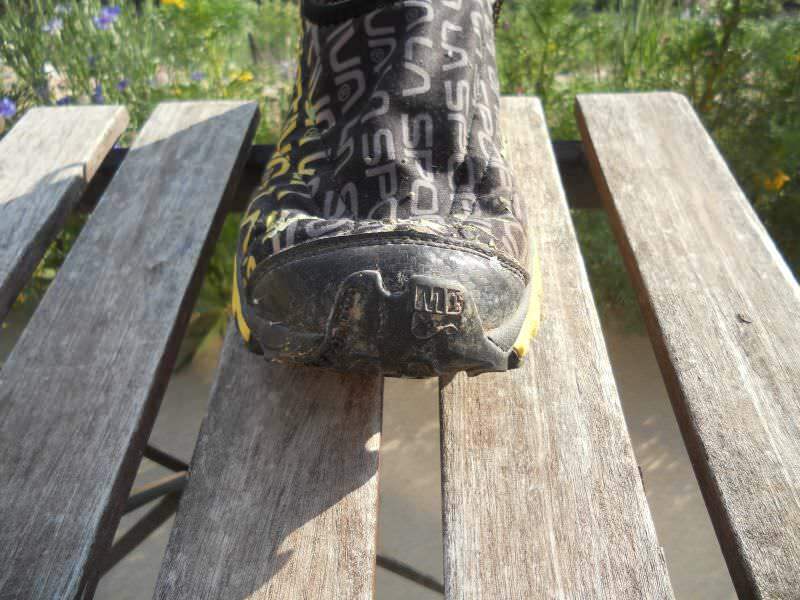 The EVA foam is dense and resilient feeling a bit hard on road but showing it’s true responsiveness on trails. Arch support was minimal, allowing the foot to function naturally, and while the Morphodynamic cushioning shape takes a bit to get used to when first walking in the Vertical K, once running it perform wonderfully. Absent from the Vertical K is any sort of rock plate which, coupled with a relatively thin midsole and 4mm heel drop, leaves trail runners vulnerable to sharp rocks. Rather than having traditional outsole lugs, the Morphodynamic midsole is covered by La Sportiva’s Frixion rubber, which is actually a very sticky rubber used in climbing shoes. This technology is fantastic on any sections of exposed rock or steep vertical where traction is a must. I especially appreciated the Frixion rubber outsole when having to down climb short technical sections or technical rock. The increased surface area adds to a very secure feeling underfoot and probably some of the best traction I’ve experienced in a trail shoe, lugged or not. The absence of a rock plate is not so much problematic, but the cutouts through the outsole and midsole leave the foot exposed to sharp rock. Initially I didn’t feel this wouldn’t be a problem until I ran some rocky descents with sharp crumbled limestone covering the trail. The Vertical K incorporates some groundbreaking designs, including the Airmesh gaiter and the Morphodynamic midsole/ outsole, and they package the shoe in a truly minimal fashion. At 7 oz with a 4mm heel drop, you’ll be hard pressed to find another minimal trail shoe with as much underfoot cushioning. However, in adhering to minimalist principles, the Vertical K sacrifices some protection to save weight, which in the end resulted in a deal breaker for me. I’m sad to say that after a few bad bone bruises from sharp rocks poking through the outsole cutouts, the Vertical K has moved to the back of my shoe closet, reserved only for those outings or races on non-technical trail. It would be great to see an update to the Vertical K with a minimal rock plate adding a bit of weight but also some much needed protection for trail runners getting off the beaten path. Either way, the combination of features in this shoe currently make it one of the top functional minimalist trail shoes on the market. By functional, I mean a shoe that could handle up to 50k without the wearer getting a stress fracture. If you’re looking for a minimal feel, with a bit of extra cushioning on the trails, the Vertical K could be your next shoe.